IF-Adamas offers flexible engineering services in 3 basic categories: Software development, mechanical engineering and electronic design. Today's demand is a integrated knowledge of all discipline to develop new products, processes or machines. Call us and find out about our flexible workforce with scale-up warranty when needed. If-Adamas has extensive knowledge about cloud and client solutions for machines. This includes remote controll and monitoring of machines and processes. Mechanical engineering, sheet metal, FEM and Flow analyses and industrial design are our expertise. Including project and product management. IF-Adamas develops dedicated electronic PCB solutions in house. Including Firmware and software. This way we can make cost-effective solutions for industrial and consumer applications. Together with our IoT department. IF-Adamas is an innovation center, developing and putting to market new technologies and products. One of our products is the famous dddrop 3D printer. All development, production and marketing is done by IF-Adamas. Giving us fundamental understanding of the modern market place and the dynamic world our customers are working in. 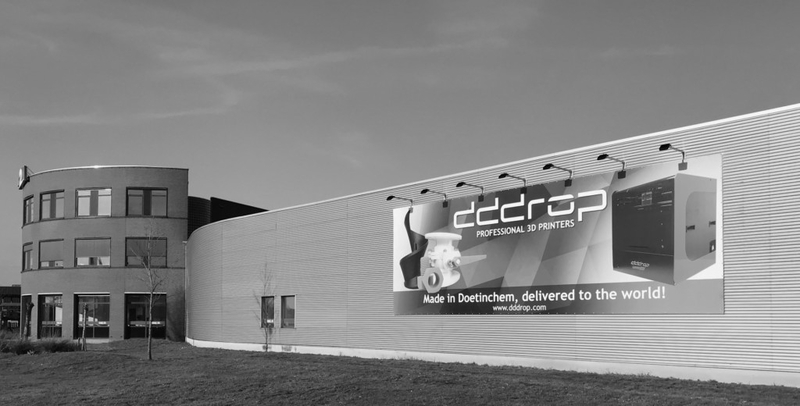 If-Adamas is the home of dddrop: The professional 3D printers are developed, produced and sold worldwide by IF-Adamas. The ultimate goal of IF-Adamas is to add hightech and IoT expertise to our customers and partners: Grow to a higher level, together. This can be done with local partnerships but also globally. Making the future, together. Working on new markets, products and skills. Create a low entry point into the hightech future. Innovation is no choice: It is simply in the genes of IF Adamas.